ATG: You have a busy jewellery and watches annual sale calendar. How do you differentiate your monthly Antique & Modern sales from the rest? Nicola Whittaker: We call it the Antique & Modern Jewellery auction because we have a mix of items for different eras. 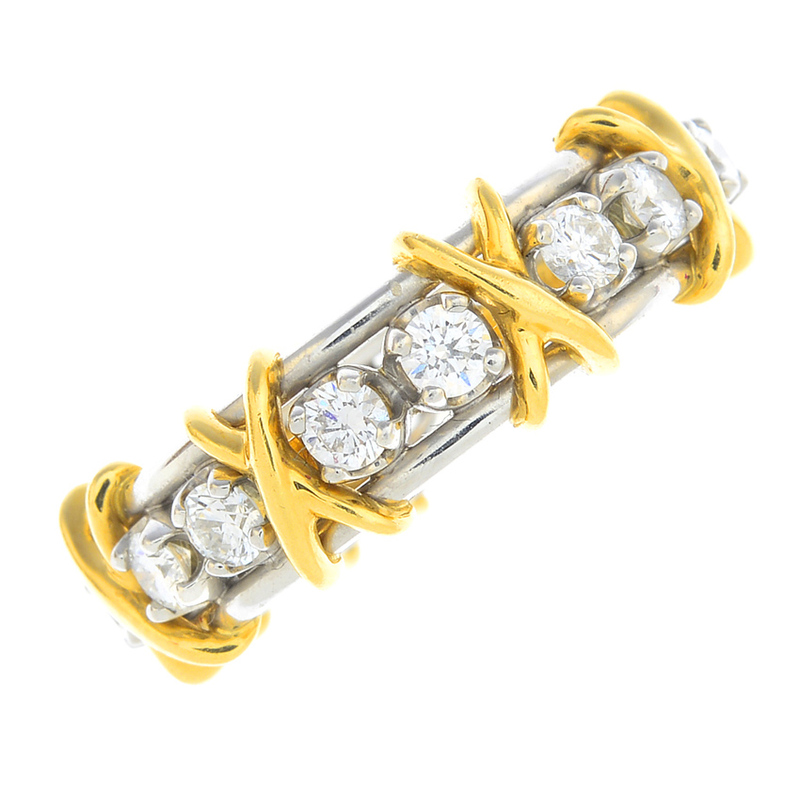 We think that the auction caters to varied tastes and are aware that fine jewellery comes in different forms. So, the person who is mad on the Lapponia ‘Space Apple’ pendant is unlikely to be looking for a buttery gold Victorian locket. However, you never know what someone might like and we try to make sure there is something for everyone in these auctions. ATG: Design versus precious or semi-precious stone: which takes precedence when it comes to estimates? NW: Well thought-out, striking design will always win out. We often see pieces that we think must be signed because of how well made they are. These pieces tend to exceed their estimates. However, we will have taken this into account with signed and named pieces when setting the estimates at the point of consignment. A popular name such as Cartier or Tiffany will always add value to a piece and these names tend to hold their value slightly better than non-designer pieces. Other designers tend to come in and out of fashion. For example, we’re seeing keen interest in 1970s designers such as Kutchinsky and Grima which has increased in the last couple of years. Modern names such as Pomellato and Marina B (pieces available in the January 24 sale) are gaining a footing at auctions, a trend we’re sure will continue to grow. 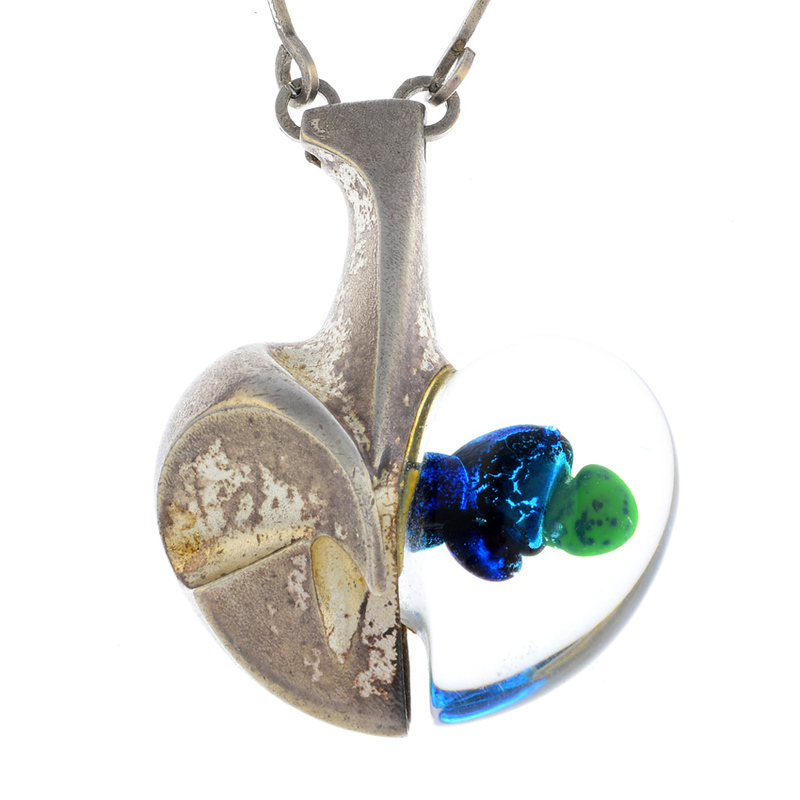 This 1970s silver acrylic 'Space Apple' pendant, designed as a stylised apple, with vari-hue acrylic abstract detail, is suspended from an integral fancy-link chain. Signed Lapponia, with a maker's mark for Björn Weckström, the piece has Finnish convention marks. Bearing a maker's mark for Theodor Fahrner (1859-1919), this pendant is designed as an oval-shape amethyst with marcasite openwork geometric panel. 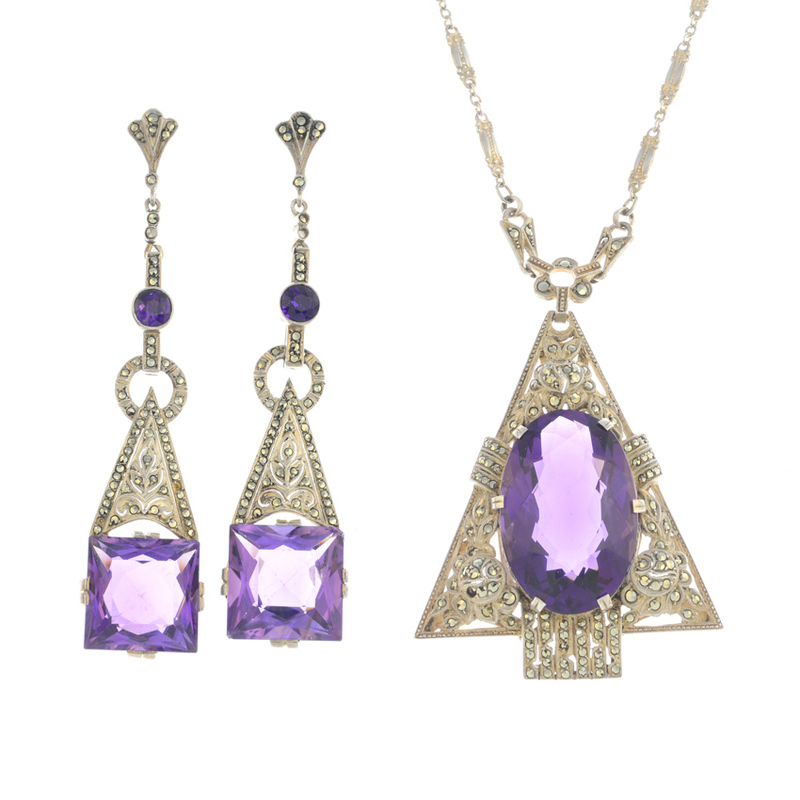 It is suspended from an integral fancy-link chain, with amethyst bead highlights and comes with similarly-designed earrings. 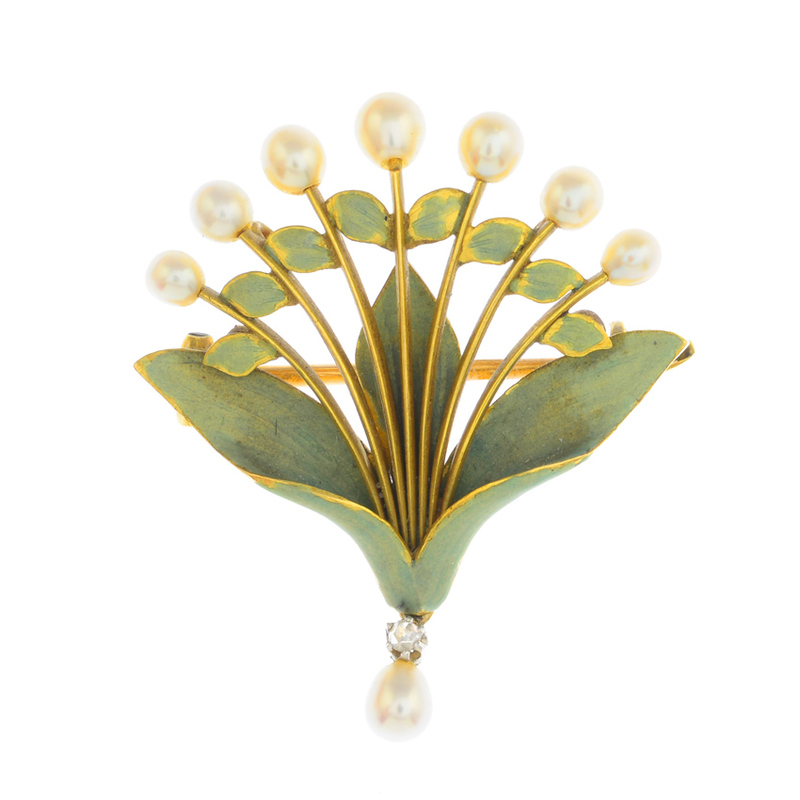 Designed as a green enamel foliate spray, with graduated cultured pearl buds, this brooch has a suspending rose-cut diamond and cultured pearl drop. With a maker's mark for A. Beaudouin, it is believed to be a Georges Le Turcq design. 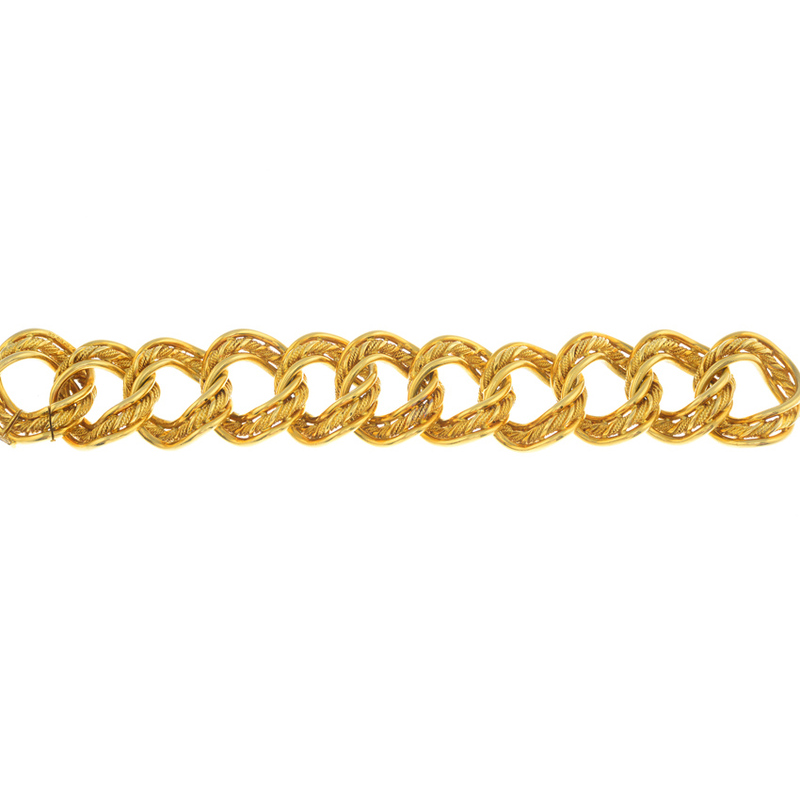 Designed as a series of rope-twist curb-links, with similarly-designed clasp, the bracelet is 20.5cms long and weighs 203.9gms. This sale is available to view at thesaleroom.com and live bidding starts from 11am Thursday, January 24.